Brow lift is a relatively less invasive cosmetic surgery, but it is a sensitive procedure because it involves the area around the eyes. The patient should satisfy themselves completely during the initial consultation before they decide to go ahead with brow lift. They should ask questions about the surgeon’s credentials as well as the procedure in order to make a well-informed choice. The surgeon will make every effort to clarify the doubts and concerns of the patient, and answer all their questions in an accurate and detailed manner. Informed patients are usually more confident about the procedure and achieve more satisfactory results. Experienced facial plastic and reconstructive surgeon Dr. Eric Yavrouian provides brow lift to patients in Glendale, Pasadena, Burbank, Greater Los Angeles, Beverly Hills CA, and surrounding communities. Do you have specific qualifications and training in facial plastic surgery procedures? While it is essential to choose a well-qualified and experienced plastic surgeon, it is more important for the patient to know whether the surgeon has specialized training and qualifications in facial procedures. If the surgeon is trained and head and neck surgery, they would have an in-depth understanding of the facial anatomy and would be in a position to create more natural looking and aesthetically pleasing results. Are you a board certified surgeon? The surgeon should ideally have a board certification in otolaryngology or head and neck surgery. Board certified surgeons typically invest in the highest quality standards and best practices, adopt cutting edge surgical techniques and technology, pursue continuing education, deliver lectures and attend conferences in the area of facial surgery, and follow the latest safety protocols. These commitments enable them to deliver safe and desirable outcomes to every patient. A dedicated surgeon will carefully determine the patient’s candidacy, and give them clear recommendations about the best treatment approach to meet their anatomical and personal cosmetic goals. Some patients may need a combination of brow lift and eyelid lift, while some may require only Botox to meet their temporary aesthetic needs. In each case, the surgeon can provide the best guidance to the patient to meet their unique needs. Where would you perform brow lift surgery in my case? The surgeon will inform whether brow lift may be performed using general anesthesia or local anesthesia with sedation. The surgery can be performed at a hospital, an accredited surgery center, or a private surgical suite. The surgeon will discuss the pros and cons of each option and help the patient make the best decisions. The patient should also frankly ask questions about the costs involved in the brow lift surgery, and the financing options that may be available. 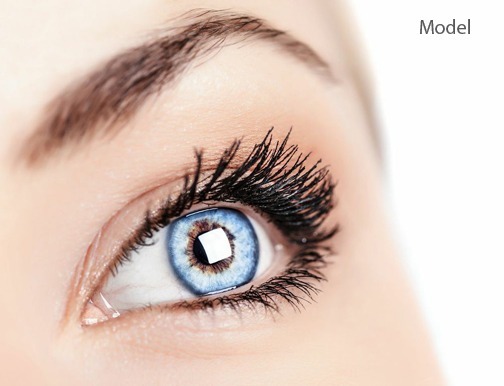 They should request for brow lift before and after photos as well as testimonials of past patients. 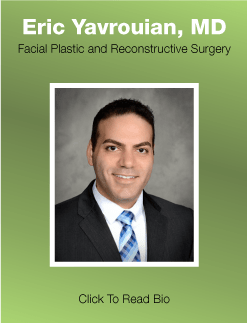 Accomplished facial plastic and reconstructive surgeon Dr. Yavrouian receives patients from Glendale, Pasadena, Burbank, Greater Los Angeles, Beverly Hills CA, and other cities and communities in this part of Southern California for brow lift surgery.